(GSM Insider) - Samsung ATIV Tab Windows RT Tablet Not Releasing In European Markets. Earlier January, Samsung announced that its Windows RT tablet, Samsung ATIV Tab isn't heading to the United States anytime soon. This is because the Windows RT operating system still not yet popular among the American. Earlier today, Samsung confirms that the ATIV Tab isn't for the European markets as well. Samsung stated that the Windows RT still not yet accepted by the European. 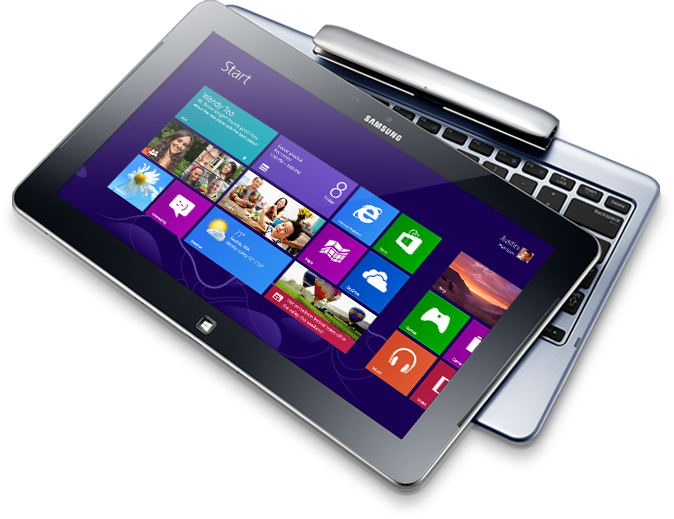 Therefore, it is hard for the Samsung ATIV Tab to record high sales. If you are living in the Germany, then you should grab the Samsung ATIV Tab from Amazon Germany soon. This is because Samsung ATIV Tab isn't available at the local retail stores. (GSM Insider) - Surface Pro And Surface RT Heading To More Countries In Coming Months. Microsoft just announced that its Surface Pro and Surface RT are heading to more markets in the coming months. The Surface RT tablet coming to Taiwan, Singapore, Russia, New Zealand, Mexico and Japan. The Surface Pro tablet coming to Australia, China, France, Germany, Hong Kong, New Zealand and the United Kingdom in the coming months. 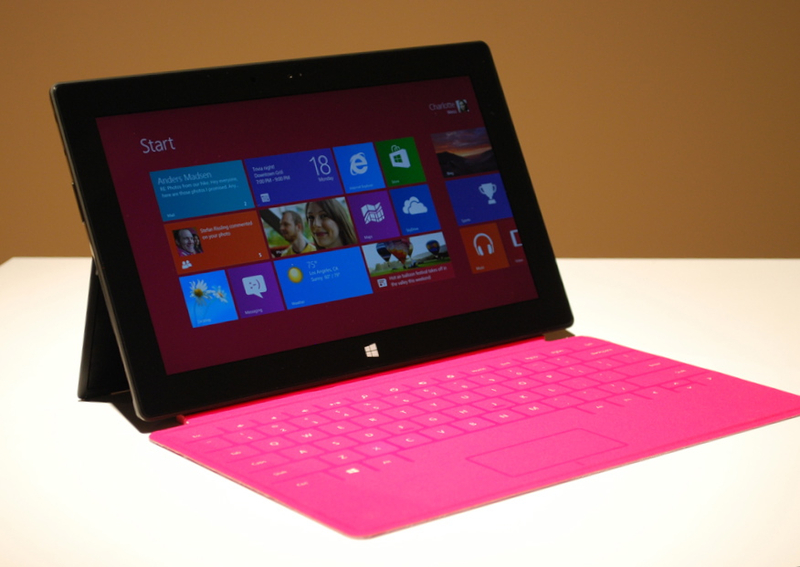 The bad news is Microsoft did not reveal the exact launch date and the pricing of both Surface RT and Surface Pro. 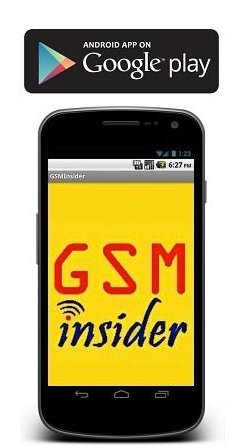 Continue reading GSM Insider for more details. (GSM Insider) - Microsoft Will Not Release Windows RT Products In The Near Future, Says CFO. In a recent interview with Bloomberg, Microsoft CFO Tami Reller stated that Microsoft will not release any Windows RT product in the near future. But Microsoft set to partner with OEMs to introduce more Windows 8 tablets during the Chinese New Year. According to Reller, Microsoft will spend more times on the current Windows RT tablet before launching any new Windows RT tablet in the near future. 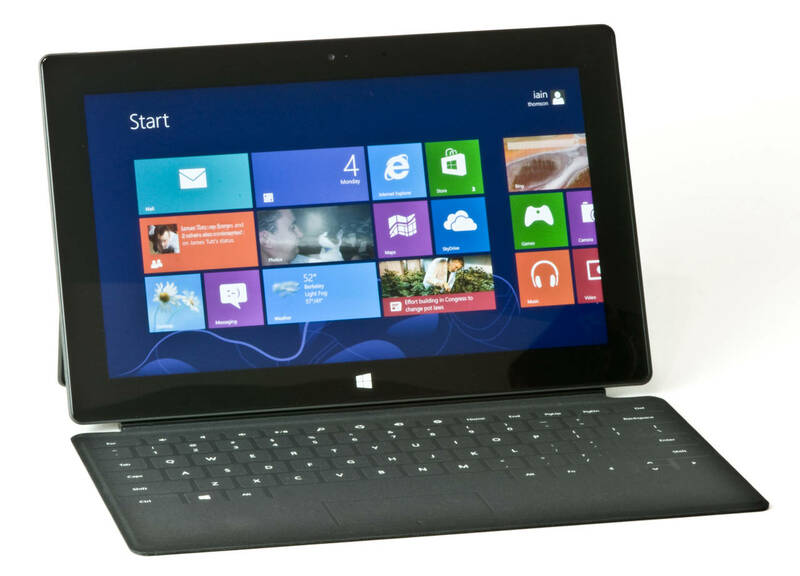 The windows RT tablet is powered by ARM processor. Surface RT is not the only Windows RT tablet in the market as Lenovo, Asus and Dell have Windows RT tablets too. At the moment, there are five Windows RT tablets on sale but only four are available in the United States. (GSM Insider) - Adobe Reader Touch Brings Touchscreen Features To The Popular PDF File Reader. Adobe released the Adobe Reader to Windows Store for Windows 8 and Windows RT last year. This popular PDF file reader soon became one of the most popular apps at the Windows Store. It was ranked at no. 5 for the free apps category in Windows Store. Earlier, Adobe launched the whole new Adobe Reader at the Windows Store. It is known as the Adobe Reader Touch. 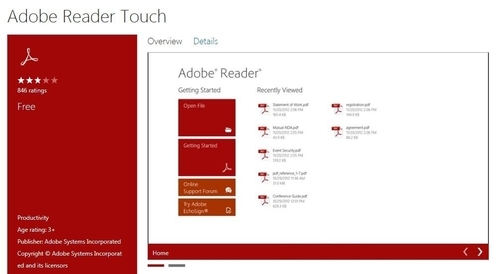 The new Adobe Reader Touch is truly a PDF file reader for touchscreen devices. 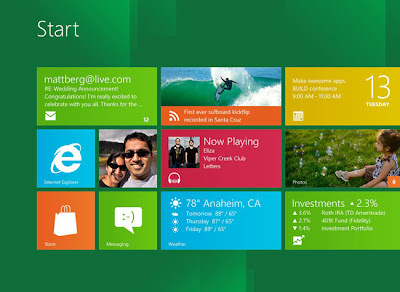 It is compatible with the touchscreen features of the Windows 8 and Windows RT. This is definitely for those who read a lot of PDF files at their Windows 8 or Windows RT tablet. 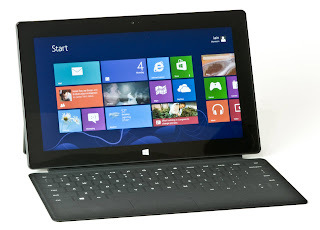 At the CES 2013 earlier this year, Windows 8 and Windows RT tablets from different manufacturers made their appearance. Those tablets will soon arrive at the market and the latest Adobe Reader Touch works perfect for those new Windows tablet. (GSM Insider) - Analyst: Microsoft Sold 1 Million Units of Surface RT On Q4 2012. Microsoft introduced the Surface RT on October last year. There are many people that interested to know Microsoft sold how much Surface RT between October to December 2012. According to analyst from UBS, Brent Thrill stated that Microsoft has sold only 1 million units of Surface tablet last quarter. Despite the low sales, he remains optimistic on the Surface product line. The 1 million units sales are definite far behind the iPad of Apple. But Surface is a new brand from Microsoft, it takes time for a brand to be established. The sales will follow after the Surface brand becomes a household name. (GSM Insider) - Easy RT Jailbreak Tool Helps You To Jailbreak Your Windows RT Device In A Few Steps. If case you never know whats going on with the Windows RT at the moment, lets revised it. A few days ago, a hacker successfully jailbroke the Surface RT. He found out that the Windows RT can be hacked and running on un-assigned apps. 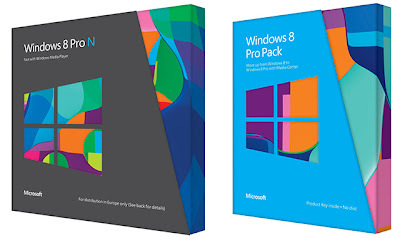 The Windows RT and Windows 8 are mostly similar as well. Microsoft later responded by saying the loop hole will be fixed sometimes soon. Then the Windows RT no longer available for jailbreak and runs on un-assigned apps. While waiting for the loop hole to be fix, you can try on by jailbreak your device with the easy jailbreak tool. Only try if you are professional in the jailbreak on Windows RT. GSM Insider held no responsible on any consequences that happened to your device. Click on the source links at below and start jailbreak the Windows RT now. (GSM Insider) - Samsung Confirms ATIV Tab Windows RT Not Releasing In United States. If you are waiting this tablet, then you should change your target now. Because Samsung confirms this Windows RT tablet in not releasing in the US anytime soon. In the recent interviews with CNET, Samsung executive Mike Abary reveals that the Windows RT powered Samsung ATIV Tab will not on sale in the US. He added that the it needs high investment on money to educate the consumers on what Windows RT about and retail partners are not convince with the demand on this tablet. This move shows the failure of Microsoft in promoting its Windows RT. Recently, the Windows 8 getting more attention then the Windows RT. Almost everyone knew about the Windows 8 while so few of them understood what Windows RT about. The worst part is many people never heard of Windows RT. Every fingers should point on Microsoft on its failure to promote the Windows RT. The interested of the retailers on the Windows RT tablets are getting lesser. This is something Microsoft should focus on. (GSM Insider) - Samsung ATIV Smart PC With LTE For AT&T Unveils At CES 2013, Gets Hands-On. This is the Samsung ATIV Smart PC for AT&T that comes with LTE-enabled. It is one of the device that unveils at the CES 2013. Samsung ATIV Smart PC made its first appearance at the IFA 2012 back in August last year. At this CES 2013, the Samsung ATIV Smart PC makes its appearance again. But this time is the Samsung ATIV Smart PC for AT&T. It has an AT&T logo at the back of the device. Samsung ATIV Smart PC with LTE for AT&T runs on Windows RT and powered by 1.5GHz Intel Atom processor and 2GB of RAM. It features 11.6-inch display with 1366×768 resolution. 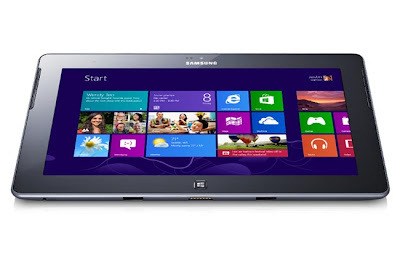 The most important is this Samsung ATIV Smart PC has LTE modem that allows its to connect to the AT&T LTE network. Samsung ATIV Smart PC can works as a notebook as well with its external keyboard. Since it is runs on Windows RT, it only able to run apps from Windows Store. (GSM Insider) - Microsoft: More Than 60 Million Copies of Windows 8 Sold, As Impressive As Windows 7. There are many people criticised the Windows 8 since it was launched a few months ago. 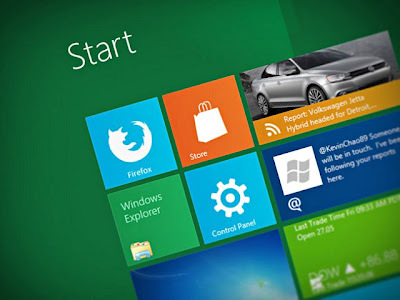 There are many people that questioned on the sales of Windows 8 as well. 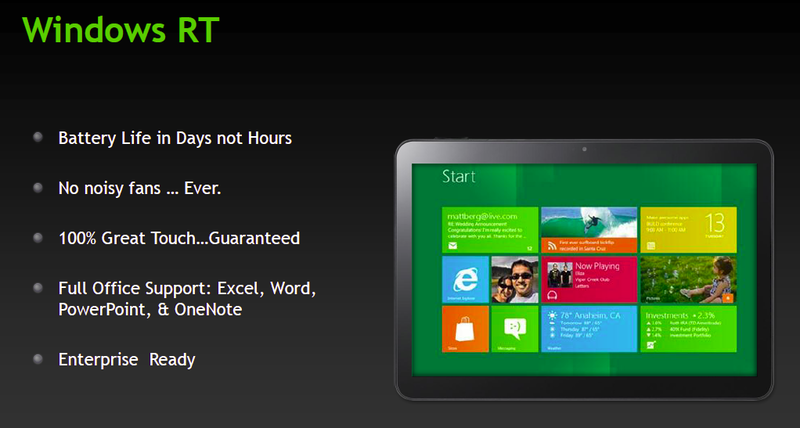 Finally, someone from Microsoft gives the stats on the Windows 8. Microsoft Windows CFO and CMO Tami Reller stated that Microsoft already sold more than 60 million Windows 8 licenses to-date. At the CES 2013, she stated that licenses included those selling to OEMs and to consumers as well. She admits that there is radical change in the Windows 8. This is why Windows 8 is truly different from the previous Windows. She added that the sales performance of Windows 8 is as impressive as the Windows 7. There are many notebooks and tablets with Windows 8 or Windows RT unveiled at the CES 2013, this should open the door for Windows 8 in the near future. These devices able to kick start the growth of the operating system from Microsoft. 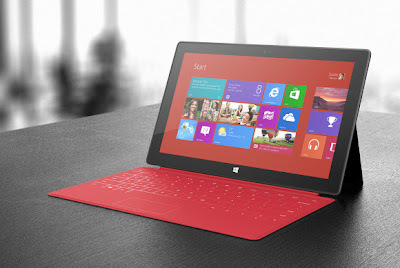 However, Tami Reller denies to comment on whether Microsoft interested to produce own Ultrabook and smartphone. Another good news is Windows Store just achieved 100 million downloads as well. (GSM Insider) - Hacker Jailbreaks Windows RT, Finds Out It Is Similar Like Windows 8. Windows RT is kinda confusing operating system that introduced by Microsoft. There are many people that heard before the Windows 8 but never heard before on the Windows RT. Windows RT is a closed platform from Microsoft. Windows RT only supports ARM Chips and only apps from Windows Store are able to run on it. There are not much freedoms on the Windows RT in term of apps. The good news is hacker with the name of Clrokr successfully jailbreaks the Windows RT. Yes. Same jailbreak for the iOS of Apple. But the method of jailbreak is definite different. The hacker found out that the only different between Windows RT and Windows 8 is the security check for the apps. He successfully bypass the security lock and runs unsigned apps on the Windows RT system. Unsigned apps are those apps not from the Windows Store. The bad news is the jailbreak will gone after a restart on your device. This means that the full jailbreak still far from complete and suitable for daily usage. At least Windows RT is getting something new soon. If you are HTC HD2 user, I'm sure you are happy with this (All Powerful) device. In the past, the latest Windows Phone 8 operating system from Microsoft successfully ported in the HTC HD2. This time, another operating system successfully ported in the HTC HD2. 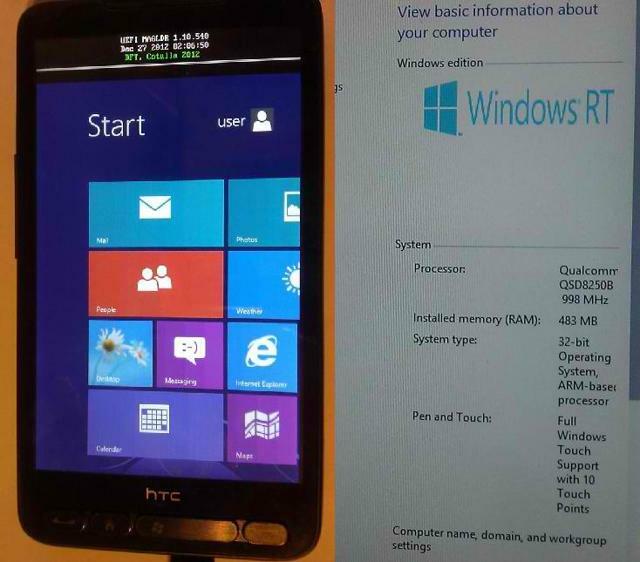 Windows RT is originally for tablet but it was ported to the HTC HD2 by developer. From these, you can see the powerful of HTC HD2 as it is highly customizable. Although developer successfully ported the Windows RT into the HTC HD2, but it not means that the HTC HD2 suitable for daily usage. Off course the Windows RT unable to work perfectly on the HTC HD2 as the HTC HD2 only a smartphone. At least someone showed that tablet based operating system able to work on this HTC HD 2. HTC HD2 is a Windows Mobile device that was launched a few years back. Asus Vivo Tab has two models - one with Windows 8 Pro and another one with Windows RT. The one with Windows RT now on sale in United Kingdom via Three UK. UK network provider Three offers Asus Vivo Tab RT on contract. It is available for £30.99 a month for 24 months contract. Upfront payment of £199 is required as well. With this contract, subscribers are eligible for 15GB of data every month. Three UK stated that Asus Vivo Tab RT ships the next day after order being made. It supports HSPA+ network of Three UK and the speed can as fast as 42Mbps. Asus Vivo Tab RT has a 10.1-inch IPS display with 1366 x 768 resolution. It was powered by NVIDIA Tegra 3 quad-core processor. The camera shooters are 8-megapixels rear camera and 2-megapixels front camera. It is preloaded with Windows RT operating system and Office 2013 as well. 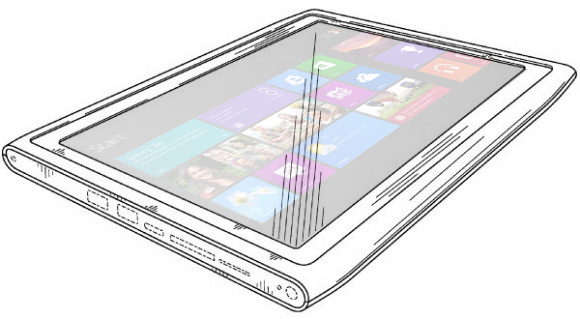 There have been rumours stated that Nokia preparing Windows RT tablet that set to rival the Surface RT from Microsoft. 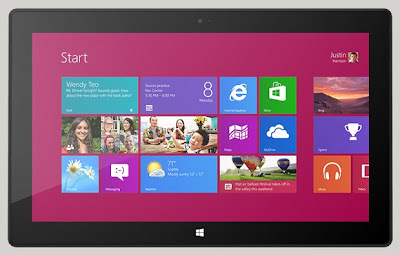 Nokia is yet to release any tablet that related to Windows operating system other than the Windows Phones. In the latest report suggested that the Nokia brand Windows RT tablet set to feature its own HDMI and USB ports. The tablet is also said to support AT&T network. The keyboard accessory for the tablet is claimed to be able to provide charge for the tablet when the device in low power. There will be an extra external battery at the keyboard cover at the back. It sounds amazing for the tablet as well. With a few days before the CES 2013 in Las Vegas, Nokia might reveal some information on this Windows RT tablet at the event. .
(GSM Insider - December 22, 2012) - Nokia Set To Unveil 10-inch Windows RT Tablet At MWC 2013. 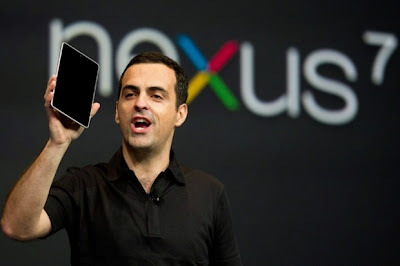 Why Nokia never release any tablet? The answer is Nokia brand tablet tablet coming soon. According to source from Taiwan, Nokia preparing for its first ever tablet. The Nokia brand tablet is going to feature 10-inch display and running on Windows RT operating system. The arrival of Surface RT and Surface Pro from Microsoft forced Nokia to halt the plans on its own tablet while focusing on its smartphone phone. But seems like Nokia continues its development of the tablet and its coming real soon. The estimated time for the appearance of Nokia brand tablet is said to be around February 2013 at the Mobile World Congress 2013. 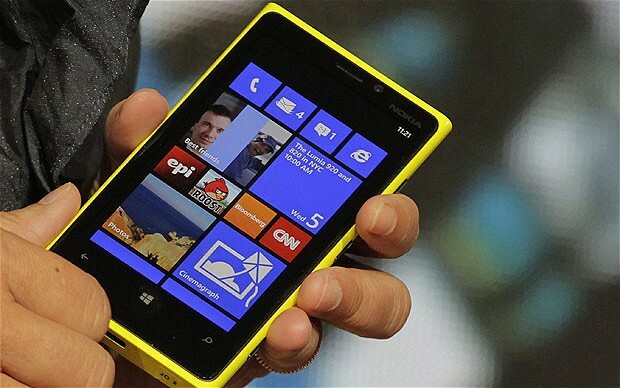 Yesterday, GSM Insider reported that Nokia going announce its new flagships at the MWC 2013. So the Nokia brand tablet could be one of them. There are three different models of Asus VivoTab tablets - Asus VivoTab, Asus VivoTab RT and Asus VivoTab Smart. This review is about the Asus VivoTab RT and forget about other two. 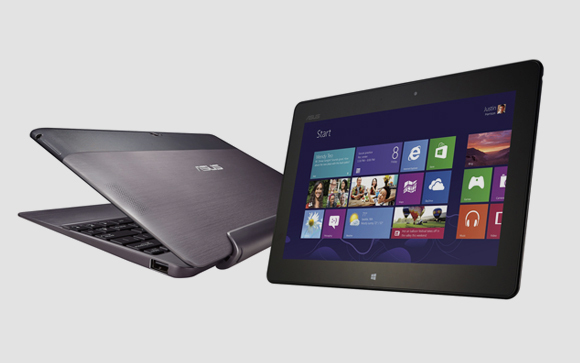 Specs Recap: Asus VivoTab RT has 10-inch display with 1366 x 768 pixels resolution. It is a very light tablet with 525g while very thin as well with 8.3mm body. It is lighter than many tablets available in the market. 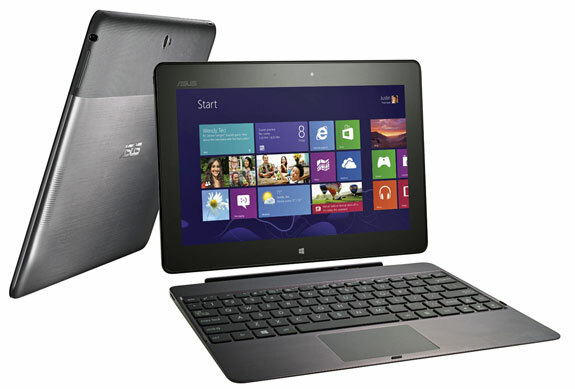 Asus VivoTab RT powered by 1.3GHz Tegra 3 quad-core processor and 2GB of RAM. It packs wih 8-megapixels rear camera and 2-megapixels front camera. There are less than two week before the Christmas arrives, but Santa Claus already at Microsoft. 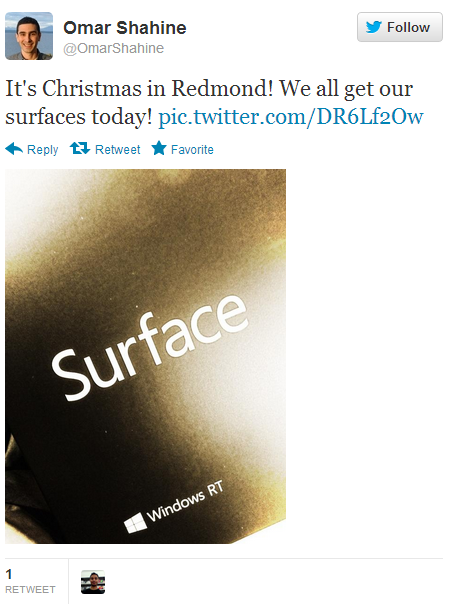 According to Microsoft employees, they receives a free Surface RT tablet which is considered as the Christmas present from Microsoft to its employees. Employees of Microsoft in these 12 countries already receives the Surface RT. These 12 countries are United States, Canada, U.K., Germany, France, China, Australia, Hong Kong, Austria, Ireland, Puerto Rico and New Zealand. More Surface RT heading to employees at other countries soon. Earlier in September, Microsoft CEO Steve Ballmer announced that its employees going to receive Windows 8 computer, Surface RT tablet and Windows Phone soon. There are more than 90,000 employees worldwide. Microsoft confirmed that it is eager to expand the sale locations of its Surface RT beyond Microsoft Stores. Yesterday, Microsoft announced its plans to ramp up the production of this Windows RT tablet and releases to multiple retailers at the same time. The retailers are included Best Buy and Staples from the United States. Both stated that Surface RT going to available starts from tomorrow at its stores. Other than the United States, Surface RT also heading to the retailers in Australia on mid-December. There are few days to go before the Windows RT tablet available at more retail stores. Three new Asus brand tablets coming to Hong Kong - Asus Nexus 7 WiFi, Nexus 7 3G and Asus VivoTab RT. Nexus 7 3G arriving at the Hong Kong with Android 4.2 Jelly Bean pre-loaded. It priced at HK$2980 which is HK$600 more expensive than the Nexus 7 WiFi. The Asus VivoTab RT also heading to Hong Kong at the Christmas season. Priced at HK$6298. Asus VivoTab RT is runs on Windows RT operating system. With a few weeks to go before the Christmas season. Have you made up your mind on which tablet to purchase? Nexus 7 or VivoTab RT? (GSM Insider) - Finally, this Lenovo IdeaPad Yoga 11 tablet quietly on sales at the Lenovo website. Lenovo priced this Lenovo IdeaPad Yoga 11 at RMB $4999. 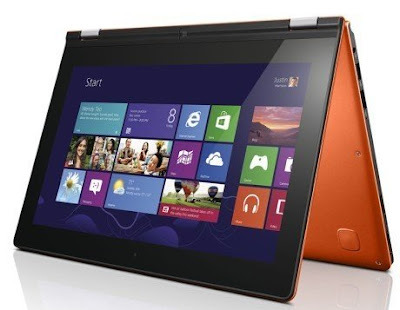 Lenovo IdeaPad Yoga 11 comes with 11.6-inch of display which is different from the 13-inch of Lenovo IdeaPad Yoga 13. Lenovo IdeaPad Yoga 11 has 15.6mm body and 1.24kg of weight. Lenovo IdeaPad Yoga 11 comes with NVIDIA Tegra 4 T30 quad-core processor, 2GB of DDR3 RAM, NVIDIA Graphics card, 32GB of ROM and 1366 x 768 pixels on the 11.6-inch display. The operating system is Windows RT. Lenovo IdeaPad Yoga 11 available in China with two colours - White and Orange. You can grab it with RMB $4999. (GSM Insider) - Ever think of how long Microsoft going to support the Windows RT on your Surface tablet? The answer is 4 years. Microsoft's current policies offer "a minimum of ... four years Mainstream Support for Consumer Hardware products." During the Mainstream Support phase, "Hardware repairs or replacements and parts are available throughout the support lifecycle. Services are free for products under warranty and available for a fee for products out of warranty. ... Updates are available for the software/firmware and OS that is embedded into the hardware (except for Surface devices, which is covered by the support lifecycle policy for the Operating System on the device)." Additional details are available in this FAQ, which notes: "For Surface devices, any Surface software installed, embedded or downloaded on the device is subject to the software lifecycle support policy for that software (unlike other HW devices such as Xbox). ... The hardware support lifecycle policy applies only to the Surface hardware (and as stated above not the Surface software). For Surface devices, that policy affects only the tablet device and hardware based accessories (and for example not to soft goods accessories such as cases)." This is not a bad news for Surface RT users as the support offers up to 2017. But this is not something bad. With the technology changing so rapid. There are people who not even used the tablet for 4 years so long time. Most of the people changed their tablets in just 2 years.